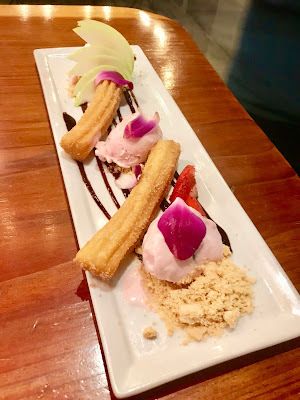 La Catrina - San Diego Dining Dish! La Catrina just opened last month in North Park, a neighborhood bursting with great restaurants and shops. 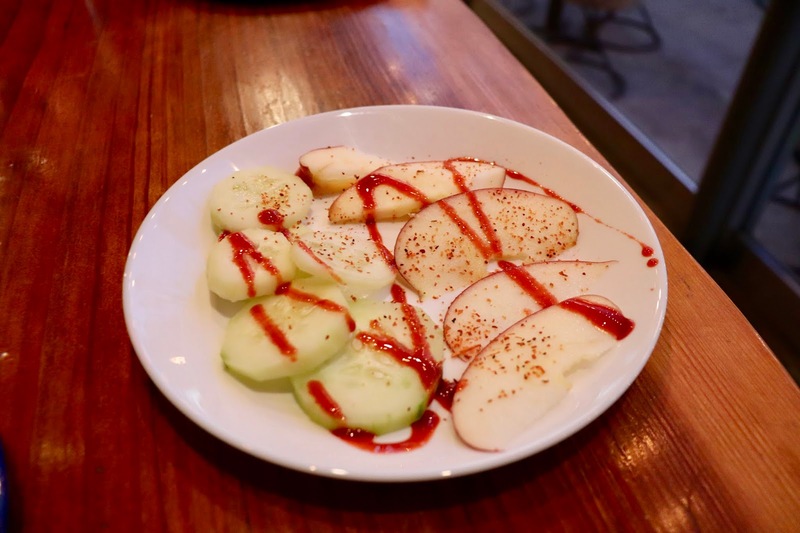 La Catrina seeks to set itself apart by offering something that the neighborhood lacks, a tapas bar. 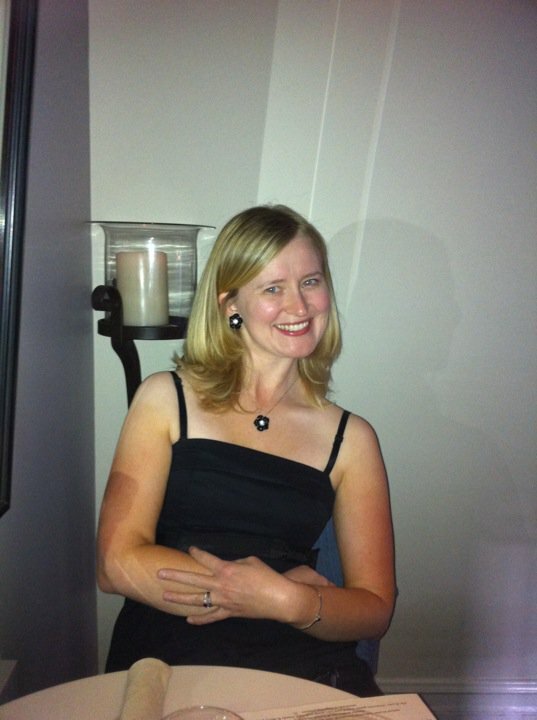 And La Catrina, of course, is not your usual tapas bar, so the other tapas places in the city need not worry. Rather than the traditional Spanish dishes like potato croquettes and paella, La Catrina is dishing up Mexican-inspired tapas, to the great satisfaction of their eager customers. The grand opening is still to be scheduled, but I was lucky enough to be invited to try out some of their best items this week. 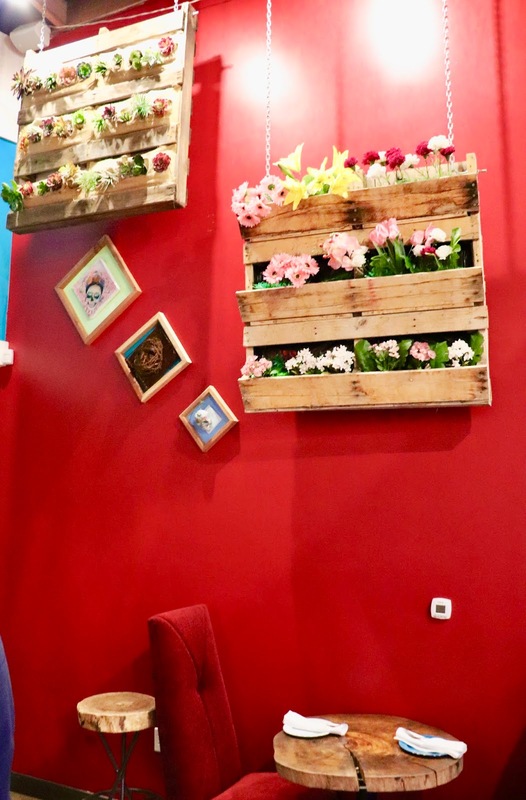 First off, I really love the vibe and decor of the place. 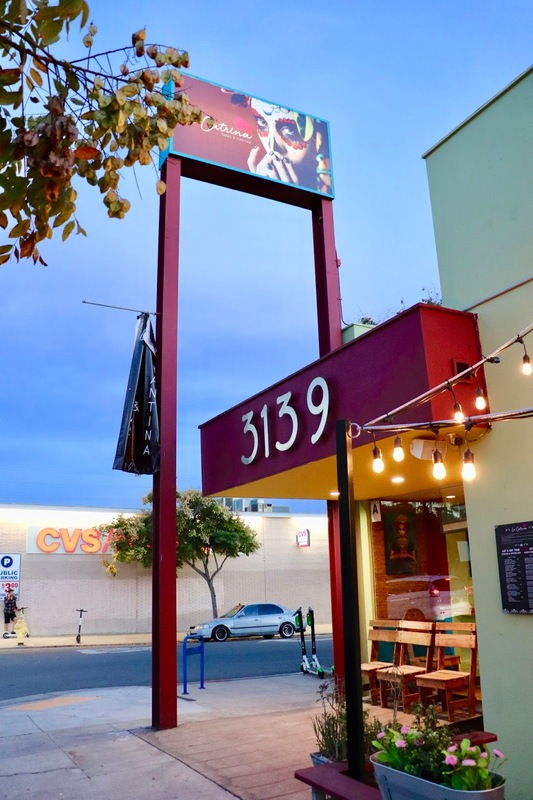 It's old-school Mexican, but also totally North Park and hip. 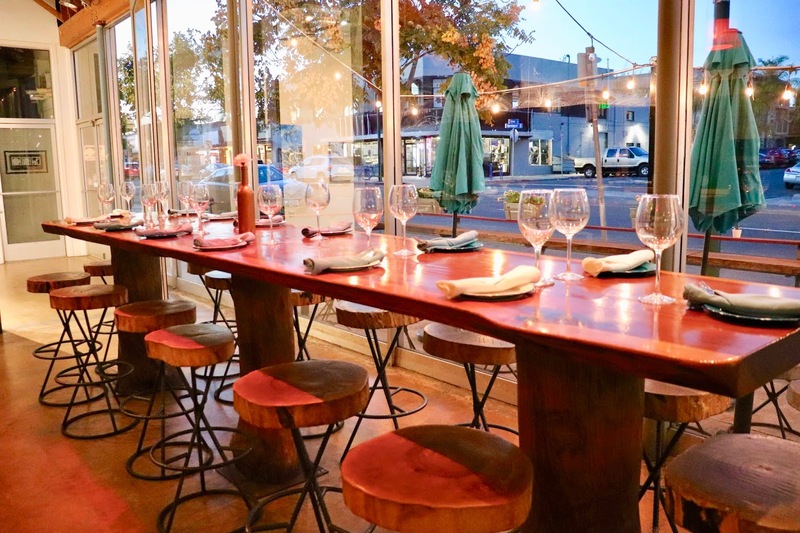 This place just screams date night. with red walls, nouveau art, and cute 2-seaters strung throughout. 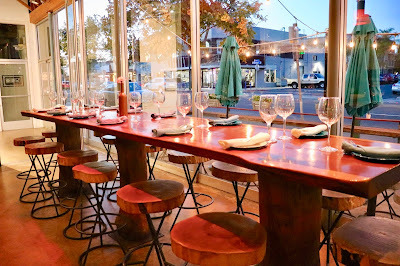 There is also a bar with seating, essential for the full tapas experience, and some larger tables, where I can surely see large groups clinking glasses and sharing the small plates. 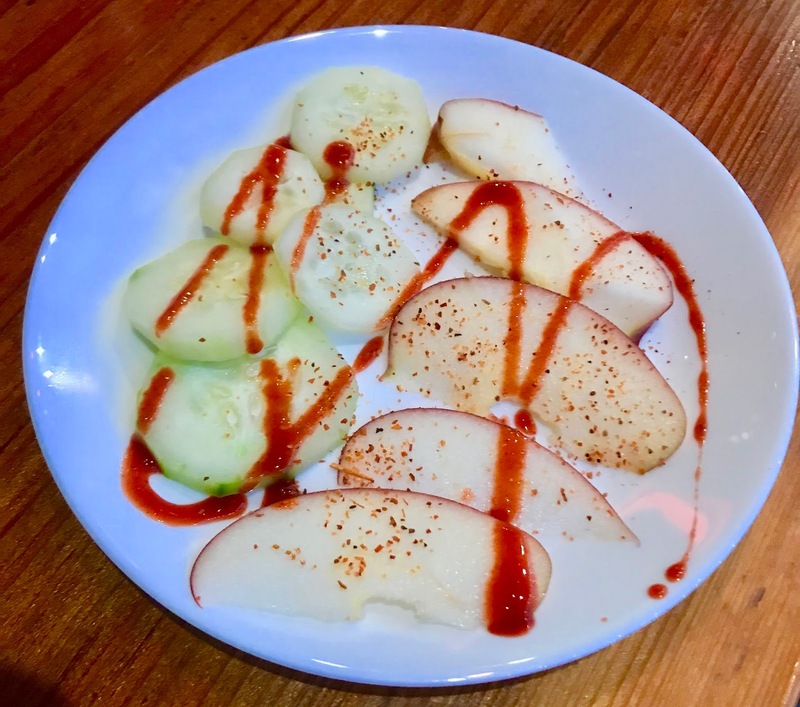 We started with an amuse-bouche of apple and cucumber slices topped with a spicy sauce and the classic Mexican fruit topping, spicy Tajin. The light produce was the perfect start to give us something to munch on without spoiling us for dinner. 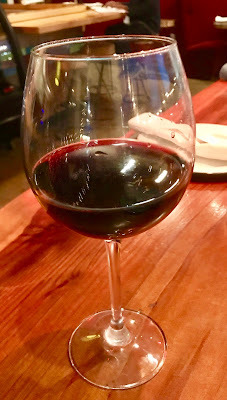 I have to mention the wine selections, which by themselves make La Catrina a standout. 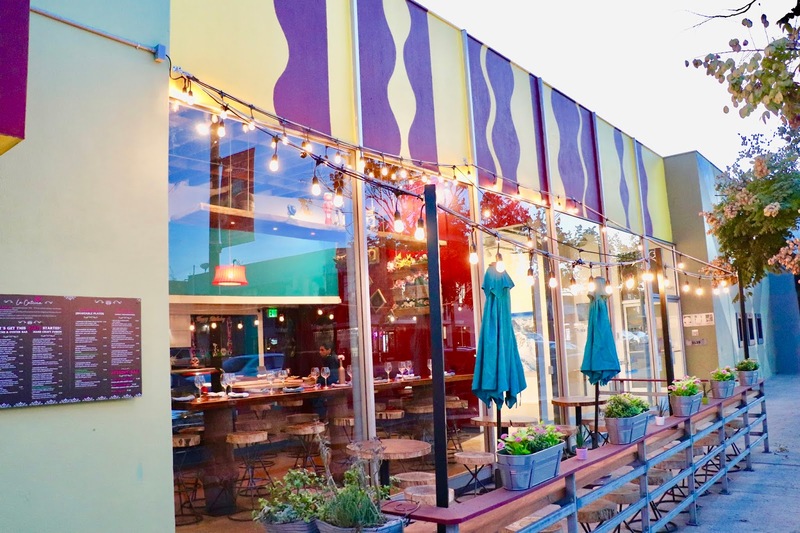 La Catrina hosts a selection of wines from Valle de Guadalupe, which despite being just over the border, are hard to come by in San Diego. 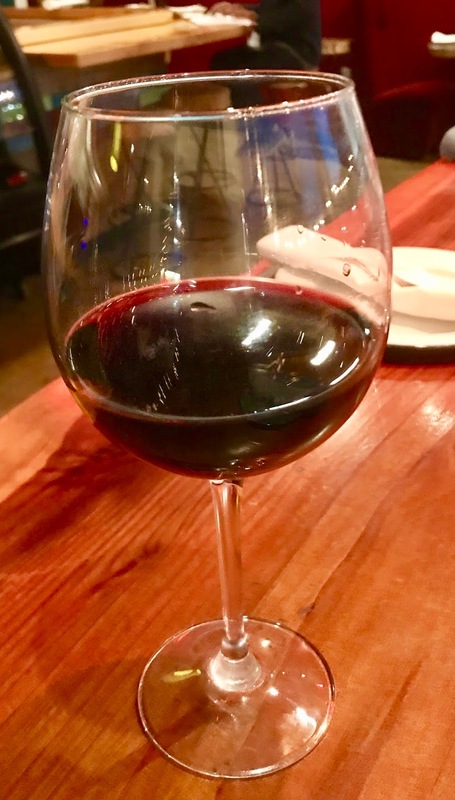 Alcohol is just about a requirement when enjoying tapas (but not totally necessary if that's not your thing), and Baja wines are just made for pairing with food. The first course was the ahi tuna tostadas. Things like this are my absolute favorite things to eat. 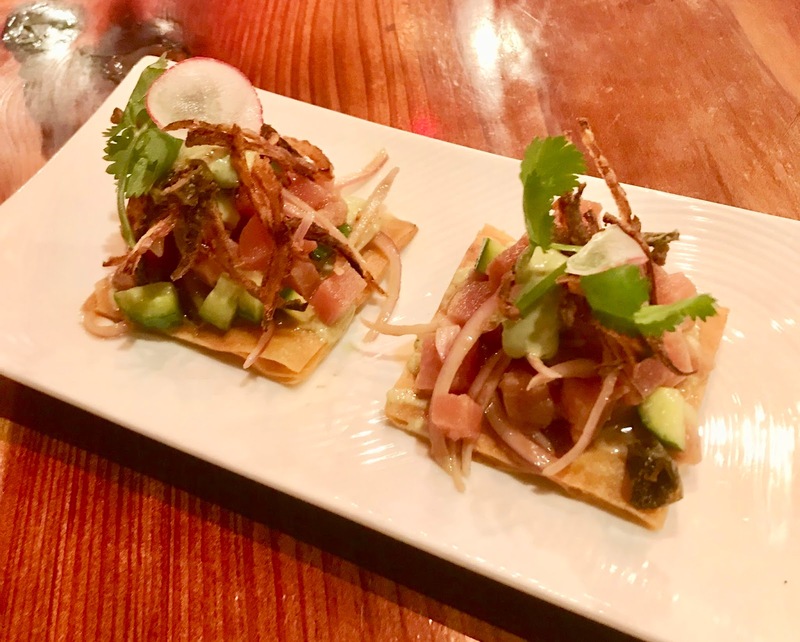 Seasoned and vinegared raw tuna, topped with cucumber, radishes, onion, and sitting atop a fried wonton for the perfect crunch. I really like the tapas service of things just appearing when they are ready, with everyone just sharing bites. It's so romantic and social. The surf and turf sopes were the next tapa to come out, and boy was it large and filling. 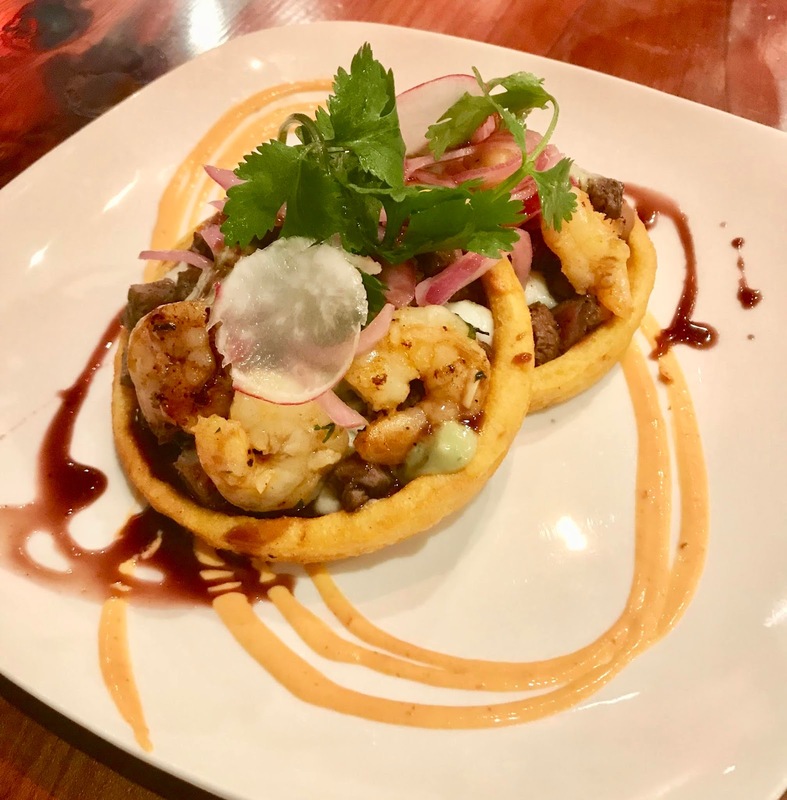 Full-size shrimp placed on top of generous pieces of ribeye steak, with onion, avocado, and radishes, all served on toasted masa. The final plate was a bowl of carnitas with tortillas to make tacos. 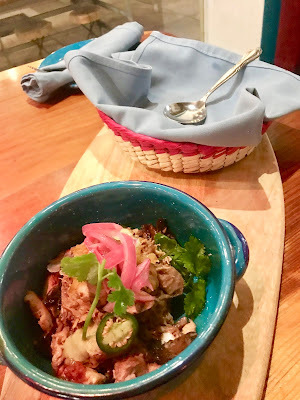 The bowl was brimming with pork, fish, octopus, jalapeño, and pickled onion. Fresh, warm tortillas (not pictured) accompanied this dish to wrap up and make thick, delicious tacos. Dessert was a complete surprise, but kept the homemade, flavorful theme going with another shared plate of homemade strawberry ice cream and churros. 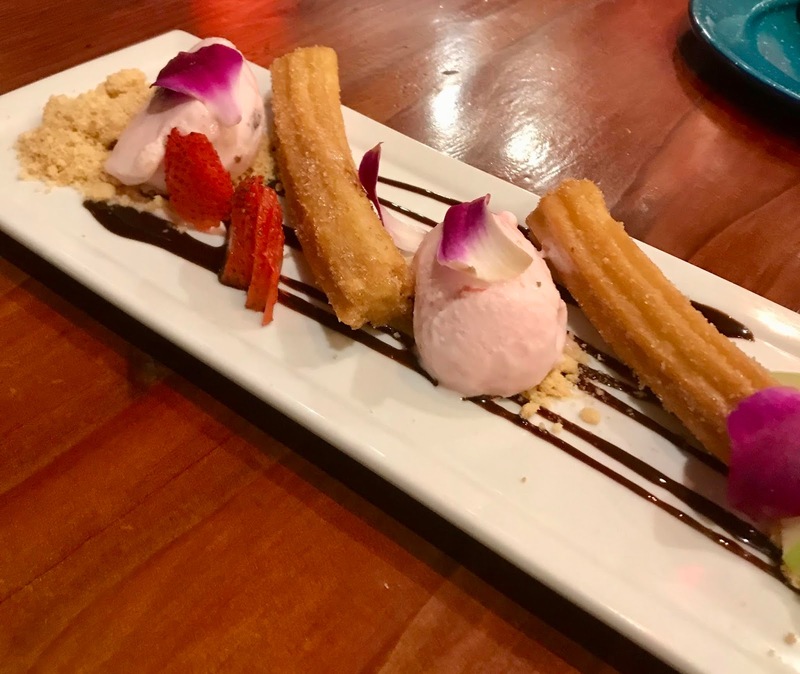 We love churros, so needless to say, this was a huge hit, and just a few delightful bites. We left with very full bellies. The portions were quite big for tapas, but it is Mexican tradition to never let people be hungry, and so La Catrina keeps up this tradition. I really love how fresh everything was; it reminds me of the incredible food I've eaten on my visits to Baja. 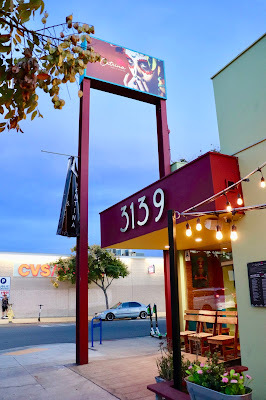 If you have a change, I highly recommend checking out this little gem in North Park.